The course of continuing medical education organized by the Section on Pediatrics, Perinatology and Pediatric Surgery of the Serbian Medical Society and by the Children’s Outpatient Center of the Military Medical Academy was held on 21 February 2015 at the MMA. 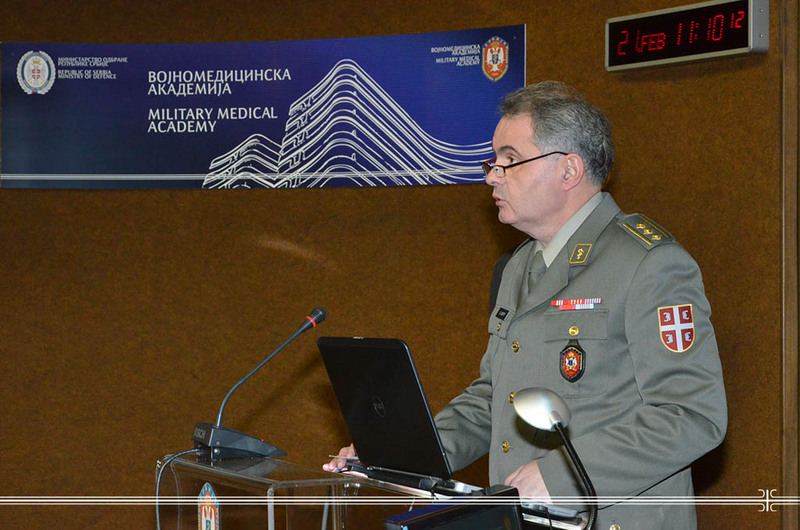 Acting Head of the Military Medical Academy Colonel prof. Dr. Zoran Segrt, on behalf of the MMA’s staff, welcomed the participants and said that the MMA has the honor to bring together every year the best pediatricians in Serbia. He praised the work of the Children’s Outpatient Center which daily renders treatment for about 6,000 children according to military insured children’s healthcare cards, as well as for all other little patients who on various grounds come to the MMA for their treatment and parents are advised to properly raise and educate their kids. He thanked for the excellent cooperation with Children’s University Clinic Tirsova, Institute for Health Protection of Mother and Child “Dr Vukan Cupic” and all other health institutions with which the MMA cooperate in order to improve the quality of treatment. Topics of today’s Section were personalized medicine in the post genomic era, the treatment of cryptorchidism in Serbia, changes of pulsatility index in the fetal middle cerebral artery after the external audio stimulation, vitamin D during pregnancy and lactation, and also it was discussed about all current topics related to pediatrics in Serbia and abroad. Pediatric section, which has been held since 2002 regularly at the MMA, gathered this year a large number of pediatricians and health professionals from all over Serbia.